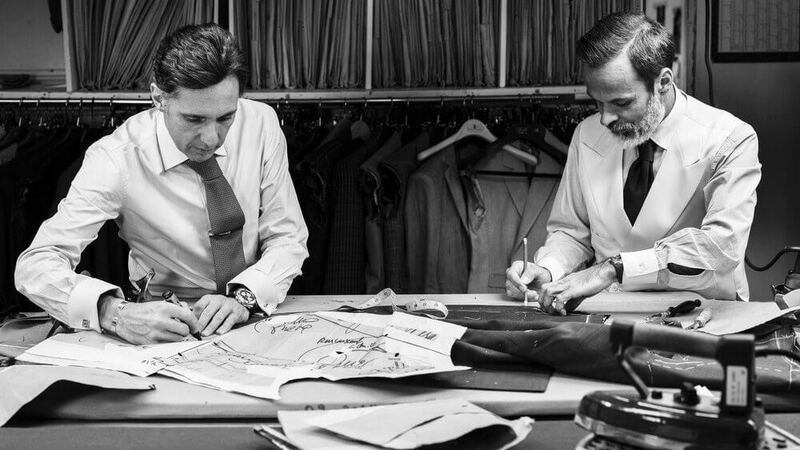 Tailoring is an age-old profession, with a rich and diverse history – and a language of its own. We believe in giving our clients the best possible service from start to finish; part of that is helping you be more knowledgeable about tailoring terminology. Baste: Basting is the bread and butter of clothing alteration. It describes the action of sewing long, easily removable stitches that are used to mock-up a fitting, hold a zipper into place and keep slippery fabrics in place. The next time we are stitching you into something, chances are we’re basting. Break: This refers to how much of the bottom of a pair of trousers meet the shoes. This can range from no break (absolutely no folding over/pants just skim the top of the shoe) to a full break (one full fold above the shoe). Bring Up: To shorten a length of a garment. Cuff: Cuffs are intentional folds we create at the bottom of your pants. More traditional than un-cuffed pants, cuffs lend themselves well to trousers that are pleated. Be sure to let us know if you want cuffs or not so we can factor it into your alteration. Darning: A sewing technique used to repair holes with only a needle and thread. Inseam: The inseam is the seam that binds the inner pant leg. It is also the measurement of the length between the bottom crotch and the lower ankle. The opposite of the inseam is the outseam, which measures the distance between the waistband to the hem of the pants. Suppress: Cinching/tapering a jacket’s waist to accentuate the “V” shape of the torso. Take in: Another term similar to suppressing the waist, and one that’s arguably more common. “Taking in the sides” refers to removing fabric at the seams on either side of a shirt or jacket. 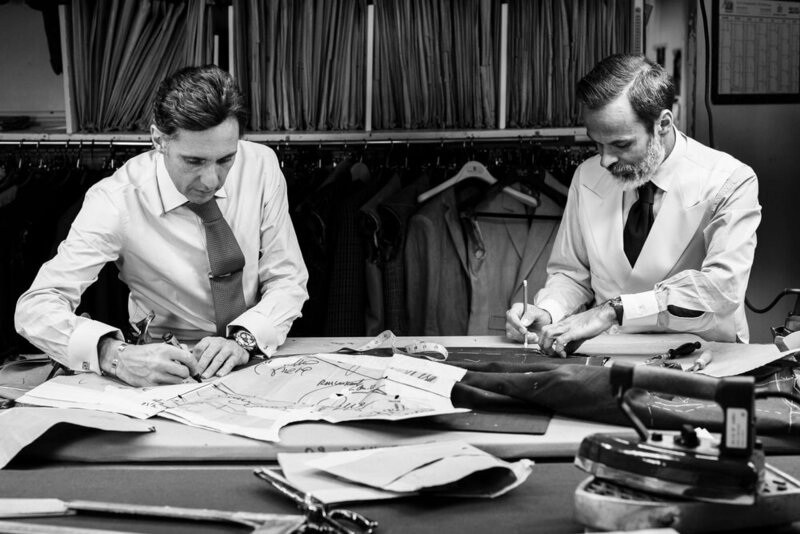 Taper: Tapering means narrowing – a pant leg, a jacket waist or a jacket sleeve. Vent: A slit or slits located at the tail of a jacket that allow for a more tailored fit and increased ease of mobility. Center vents are traditional, whereas double vents are more contemporary and allow for a more fitted jacket. Warp: The effect of vertical threads of a woven fabric. Weft: The effect of horizontal threads of a woven fabric.